On June 23, 2008, a young man named Jimmy Brooks graduated from Degrassi High School in Toronto, Canada. Despite a privileged upbringing, Brooks had overcome a lot of odds to get that diploma — he was left wheelchair-bound after an unfortunate gun-violence incident on campus, and his graduation was pushed back a year to make time for his recovery. But while all this was happening, the education of Aubrey Graham was falling by the wayside. Graham, also a Toronto native, left high school in 2000 at age 15 to play Jimmy Brooks on the Canadian television program Degrassi: The Next Generation for eight years. After leaving the show, Graham also dabbled in music, releasing a couple of platinum albums and collaborating with artists such as Lil Wayne, Nicki Minaj, and Rihanna. Needless to say, he has been very busy for the last decade, necessitating the hiatus in his formal education. 97% on my final exam. 88% in the course. One of the greatest feelings in my entire life. As of tonight I have graduated high school! 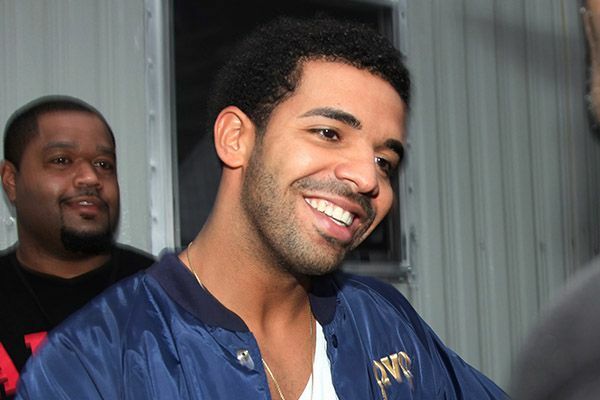 According to his Twitter feed, Aubrey, or “Drake,” as he has come to be known over the course of his multi-million-dollar recording career, has been working tirelessly over the last few months with a tutor to satisfy, we can logically assume, the Ontario Secondary School Diploma Requirements so that he can officially be considered a high school graduate. Here’s what Drake’s been up to this summer! Five months seems like a short amount of time to make up for two years of high school, so we hope his teacher gave him the obvious freebie on the arts credit, and that his recent collaborations with that Weeknd fellow didn’t negatively impact his health requirement. And the Club Paradise Tour surely counts as a “community involvement activity,” right? Anyway, congratulations to Mr. Graham on the huge milestone. Now go out there and make something of yourself, kid! The Claire Danes 'Cry Face' Supercut: Is She the Greatest Crier of Her Generation?